I remember when I was 13-ish I loved this show, and I bought a set of the cards at a convention. Back before when I knew nothing about tarot/oracle, I had this set of the Clow and I started using it as a kind of oracle deck. 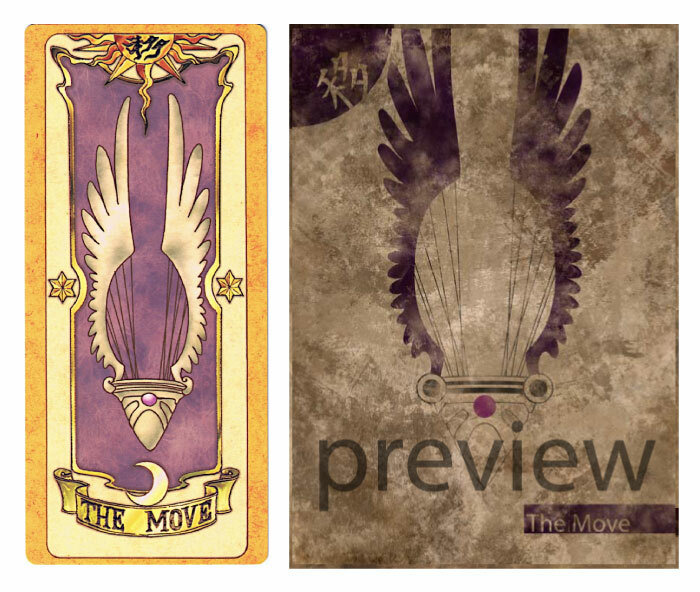 I had a little journal where I wrote out what I thought each card stood for and what it meant to me, and used that to give myself clow readings. Still have them, but I've long since lost the notebook so I rarely use them anymore. Brings back great memories though, maybe I should go pull them out again. After yet another long break, I'm revisiting this project. I realized that I had updated my base website, and forgot to see if my Clow website still worked... It didn't. I spent some time and I think I have everything working again. Let me know if I'm wrong. I also fixed all the broken links in my posts. The Power, The Rain, and an update to style. 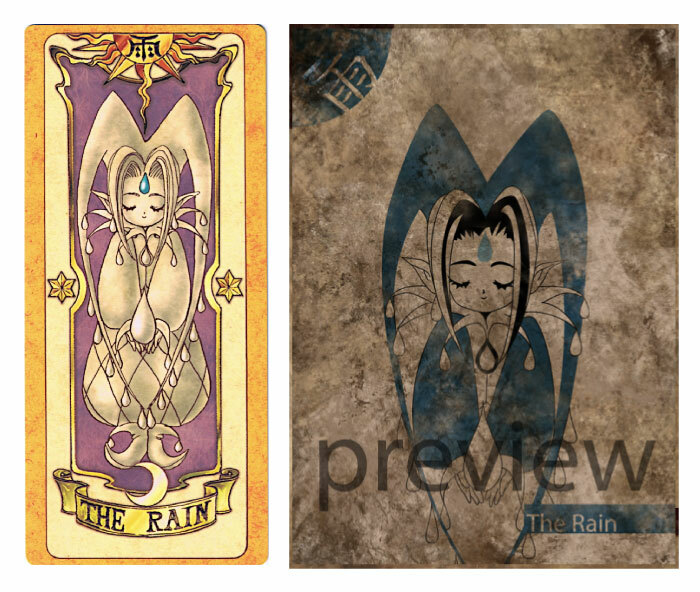 I also went back to the beginning and changed the distress effect of the early cards to match the latter cards. I had started with a paper distress effect in the beginning, and later switched to a more rough distress technique. All cards now feature a more consistent look and feel. I also decided that I didn't want a black outline around the colored parts of the card. I removed it from all current cards, and updated the images. Though subtle, I really like the change. 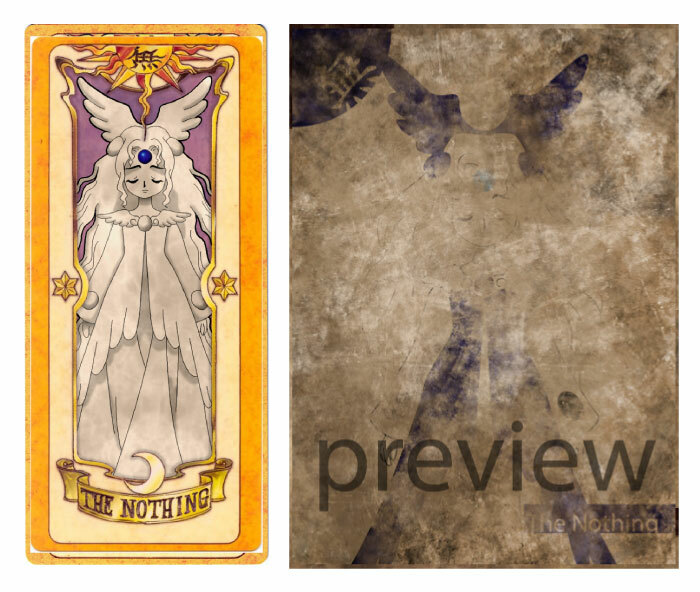 My New Year's resolution was to finish this deck by the end of the year. I have about twenty cards left, so I need to get hustling. Wish me luck. These are wonderful! 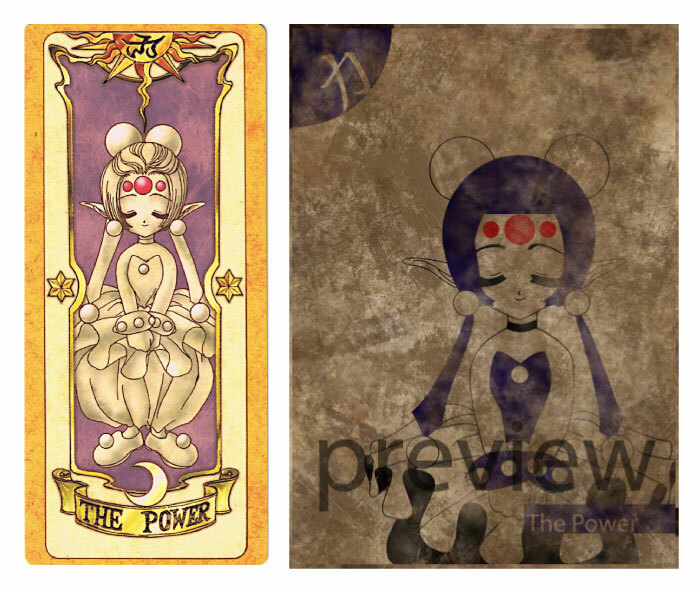 The original Clow didn't interest me, but I love your interpretation. Your cards look like a sophisticated, grown-up version of the originals. Nice work, I am intrigued. favorite too but I really like the style of these. Will you be continuing with them? Also, can I link them on Tumblr and tell people about them? I hope you get time to finish these. The updated images are lovely.